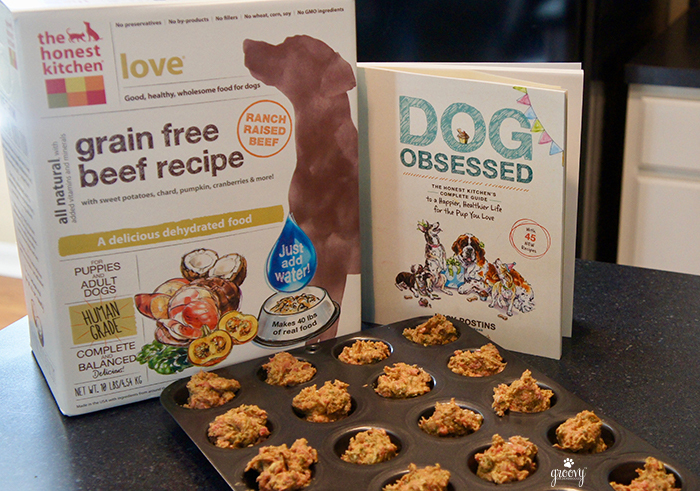 Using my Dog Obsessed cookbook from The Honest Kitchen I chose Halloween Pumpkin Ginger Nibbles! 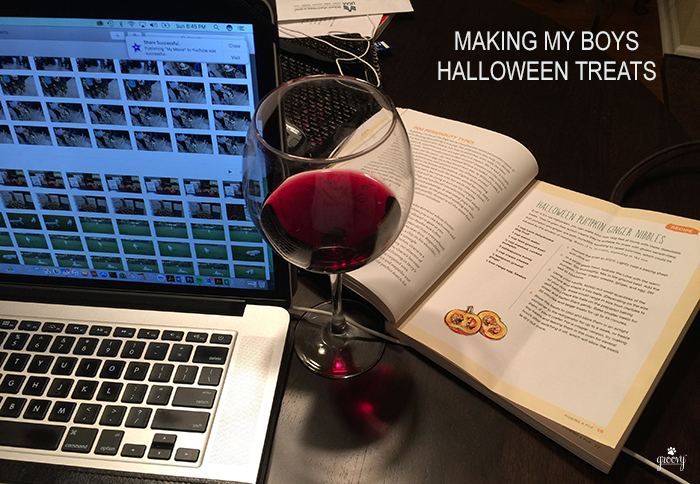 But you’ll have to watch the video to learn more about my costume. The Honest Kitchen recipes are super easy and relatively quick. To be honest #punintended baking takes the most time. Hydrate the Love with warm water. Stir thoroughly. Mix in the ground beef. Make into balls. For smaller treats bake for 30 minutes, for larger treats bake for up to 45 minutes. Allow to cool and refrigerate for a week. 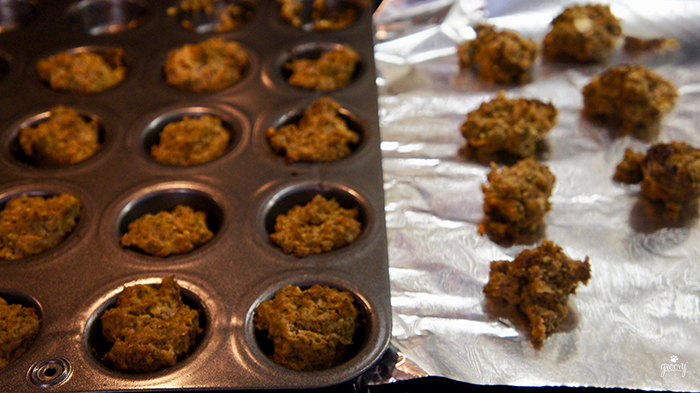 Together my ingredients seemed “moist” so I chose to place them in my mini muffin pan.. This helped with keeping their shape. Crumble some on top of their dinner like a topper! 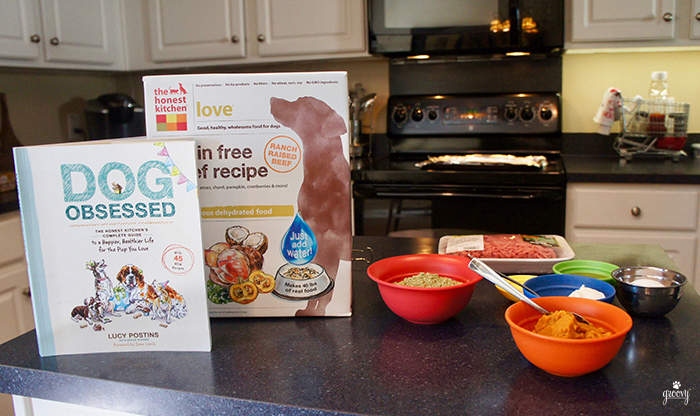 With each attempt to make the Boys something yummy – using The Honest Kitchen food and recipes, I find I’m gaining more confidence in myself when it comes to homemade dog treats. Make sure you look for our Thanksgiving meal next month. I’m going all out. It’s a holiday AND Harley’s 8th birthday, so I plan to cook up something extra #doodlespecial. Love your video! My mom stinks at video and we are always in awe of ones like yours. Great job! Thanks Emma – I’m trying to get more comfy in front of the camera. It’s a struggle but I want to show folks how easy these recipes are. Thanks for watching. Hugs to Bailey and Madison! Cathy, as usual the video looks great! I love that they ate them before you even got a chance to show them off! We at The Honest Kitchen appreciate your support and are so happy your boys love our food! So happy to hear that you liked the video Sara. The Boys love their food, and I love watching them live each day to the fullest, happy, healthy and well fed with all the right ingredients. We’re a match made in Doodle Heaven! 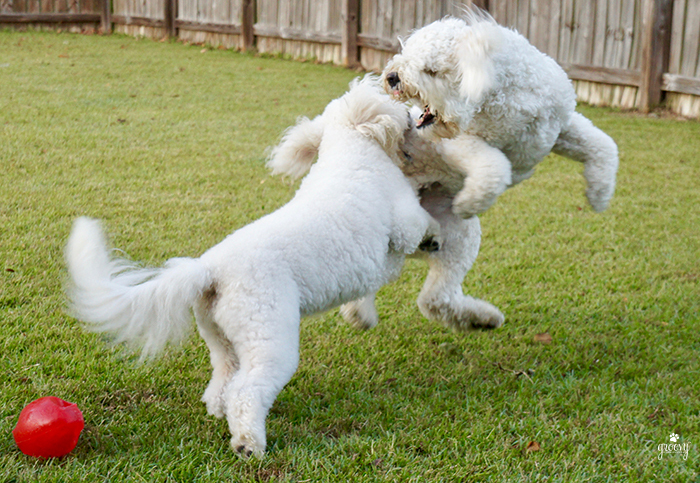 Come on my two favorite friend bulldogs – I’ve got plenty. Girl – I am in your family. I can cook anything you want but ask me to bake a cookie? Even from the package of cookie dough – I mess it up every time, that’s why I get so tickled when I cook for the Boys. So far, THK has helped me tremendously. They’re the right recipes for people like me. I love the recipe. I’ll have to make something similar after seeing which ingredients I have at home. Thanks for sharing. I love this new feature of GGD. Great! Please share when you make it, I’m always interested in variations! 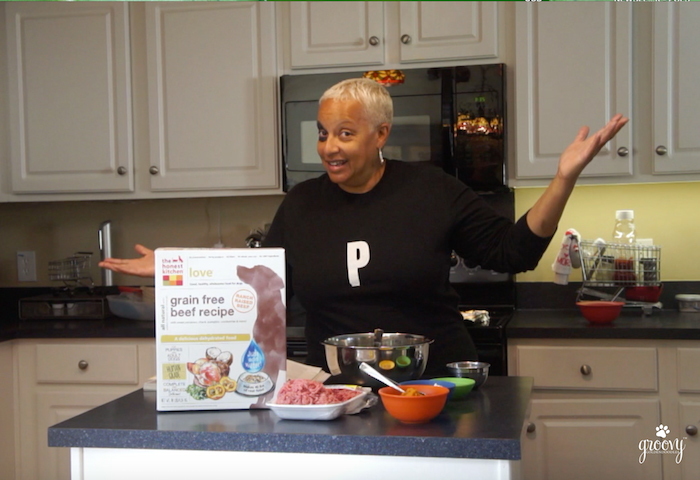 Glad to hear you like our cooking recipe videos! Oh my gosh, your videos are so professional! These treats sound great. I love to bake/cook on the weekends when I have time, and I do a lot more of it in the winter. I used to always follow recipes to the letter. Now I tend to get a little more creative. I sure wouldn’t change much with this one though, it has a great ingredient list, except I might use some fresh ginger. It’s something I learned was good as part of Sheba’s cancer diet, and I LOVE how it smells!